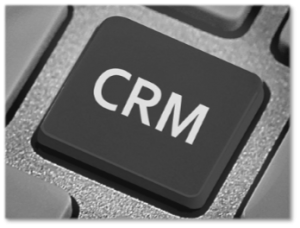 There are many options for CRM software on the market. It is sometimes difficult to figure out what the best software package is for your organization. Resolv takes a different approach to CRM because we believe that CRM is not about software but rather about your CRM strategy. Once we have determined what your strategy is, and what your business needs are, we will make a recommendation as to which software package will best meet your needs. Most of the mainstream CRM software packages have the same features and functionality available in them. The primary differences lie the delivery mechanism for the data, the number of clicks it takes to accomplish simple tasks and the ability for the software to be configured and developed to meet your specific business needs. These components of the software selection process are key to assuring that you have great end user adoption and that the software will grow and change with the growth and changes of your business needs. Many organizations try to select their CRM software based on the cost of the product licensing. It is important that you keep in mind that the licensing is a very small percentage of the total cost of ownership (TCO) of any software package. The hardware needed to support the software, the ongoing maintenance and the specialty configuration and development of the software to meet your needs will be the most costly part of any successful CRM implementation. It’s unwise to pay too much, but it’s worse to pay too little. When you pay too much, you lose a little money – that is all. When you pay too little, you sometimes lose everything, because the thing you bought was incapable of doing the thing it was bought to do. The common law of business balance prohibits paying a little and getting a lot – it can’t be done. If you deal with the lowest bidder, it is well to add something for the risk you run, and if you do that you will have enough to pay for something better.